COLUMBIA, Md.--(BUSINESS WIRE)--SolarWindow Technologies, Inc. (OTCQB: WNDW), the leading developer of transparent electricity-generating coatings for glass windows and flexible veneers, today announced plans to develop electricity-generating flexible glass. SolarWindow scientists and engineers recently applied layers of the company’s liquid coatings on to Corning® Willow® Glass and laminated them under conditions that simulate the high pressure and temperatures of the manufacturing processes used by commercial glass and window producers. 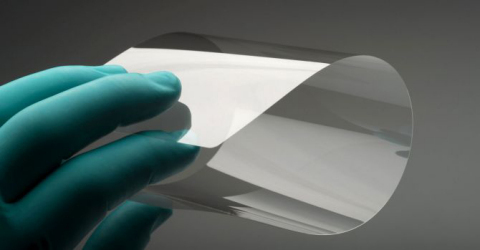 The result is a bendable glass ‘veneer’, as thin as a business card, which generates electricity. SolarWindow™ products are being developed in collaboration with the U.S. Department of Energy’s National Renewable Energy Laboratory (NREL) under a Cooperative Research and Development Agreement (CRADA). The primary development goal of the CRADA is the commercialization of SolarWindow™ products. “While generating electricity on flexible glass presents obvious commercial opportunities, this approach is especially attractive to high-speed roll-to-roll manufacturing for maximizing output while lowering production costs,” said Dr. Maikel van Hest, a Senior Scientist in the Thin Film Material Science and Processing Group within the Material Science Center at NREL. 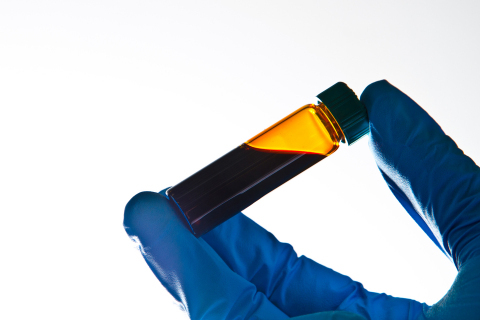 Our liquid coating technology has been presented to members of the U.S. Congress and has received recognition in numerous industry publications. Our SolarWindow™ technology has been independently validated to generate 50-times the power of a conventional rooftop solar system and achieves a one-year payback when modeled on a 50-story building. For additional information, please call Briana Erickson at 800-213-0689 or visit: www.solarwindow.com. To receive future press releases via email, please visit: http://solarwindow.com/join-our-email-list/. To view the full HTML text of this release, please visit: http://solarwindow.com/media/news-events/. SolarWindow scientists and engineers recently applied layers of the company’s liquid coatings on to Corning® Willow® Glass.